Eating is arguably a part of American culture and visiting restaurants is a large part of that. We go out to eat to celebrate birthdays, promotions, holidays, graduations, and just the fact that it is another day and we are craving a favorite restaurant dish. There is also an unspoken trust that is in the background of every restaurant-patron relationship. 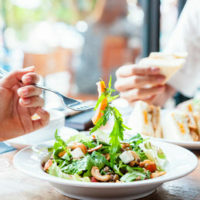 When going out to eat, there is an expectation that the food you eat and beverages you consume will have been prepared in accordance with legal requirements. Additionally, there’s the expectation that they won’t contain any foreign objects that could harm you. But what happens when they do? Local 10 News recently addressed one example of a potential injury, in reporting that inspectors of a Cutler Bay buffet restaurant found kitchen staff using a construction drill as a mixer, among other violations. A few weeks before, it was similarly reported that a different restaurant, this one in Hialeah, had been found to have rodent droppings inside of the flour in its pizza dough machine. These types of violations clearly have the potential to affect public health and safety. Is the Mere Presence of a Foreign Object Enough to Constitute a Legal Injury? Generally speaking, no. In addition to a foreign object being present in food, a person can typically only recover if the person can demonstrate a medical injury which is needed in order to prove a legal one. These medical injuries can include damage to the mouth, teeth, and throat as a result of the foreign object being bitten or chewed. If swallowed, a foreign object can even lead to choking and/or the puncturing of internal organs. I’ve Been Injured. Can I Automatically Bring a Personal Injury Lawsuit Against the Restaurant? It depends. In order to prove your claim, you need to be able to demonstrate that the restaurant was negligent, meaning it failed to uphold the duty of care it owes to its patrons. A large part of this is being able to demonstrate that your injury was foreseeable by the restaurant. As an example, an injury that resulted from ingesting a drill bit being used by kitchen staff to mix food would be deemed much more foreseeable than a patron who spilled her own drink and then immediately slipped on it before the restaurant had time to receive notice of the spill. Have You Been Injured as a Result of Restaurant Negligence? Contact Us Today. Understanding where to turn when you or a loved one has been injured as a result of restaurant negligence can be difficult. The Orlando personal injury attorneys at The Pendas Law Firm are experienced in helping people like you recover the compensation that you deserve. Contact us today to schedule a free initial consultation.